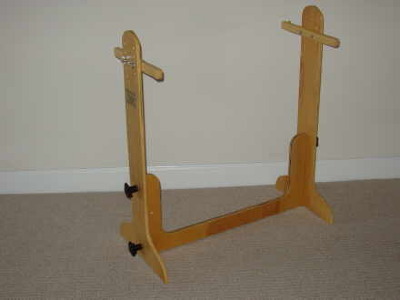 Free up your hands and make your JE projects more enjoyable by using this sturdy, adjustable stand. 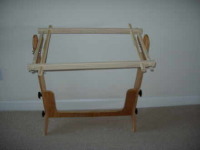 This stand is designed to work securely with both the JE Project Frames. 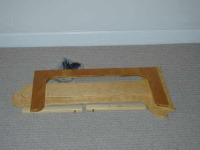 It's adjustable and lightweight for easy transport for travel or bring to your JE classes. 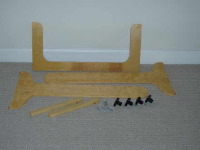 Stands available in 2 sizes. Versatile and portable for small and medium projects up to 29" in width. Designed to work securely with the 20" and 29" JE Project Frames. 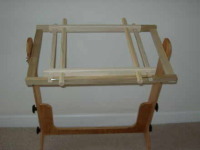 Please note: To securely use the 20" JE Frame with this stand, the Frame Holder is required. Same great features as the Standard Frame plus it is expandable for large projects up to 39" in width. Designed to work securely with the 20", 29" and 39" JE Project Frames. ​Already own the Standard Frame Stand but want the Expandable capabilities? Upgrade your stand to the expandable version by just replacing the cross-bar portion.